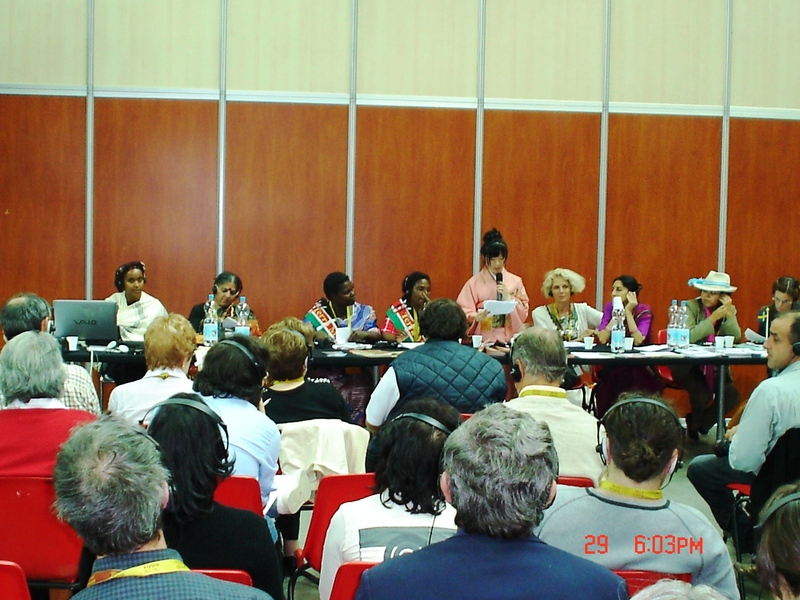 The 4th event of this biannual world meeting of food communities is organised by Slow Food (since 2004) and brings together over 5,000 representatives of small scale farmers, producers, cooks, educators, youth and activists from 160 countries to collaboratively work together on improving our food system. Terra Madre,(Mother Earth) will be held October 21-25,2010 together with Salone del Gusto (Ark of Taste) in Turin italy. These two biennial events, though different in character, have by now become two inseparable and interconnected halves, in constant dialog with each other. Salone del Gusto/Terra Madre offers perhaps the only place in the world where artisan producers, academics and chefs, wine connoisseurs and novice food lovers come together in a spirit of exchange and friendship. 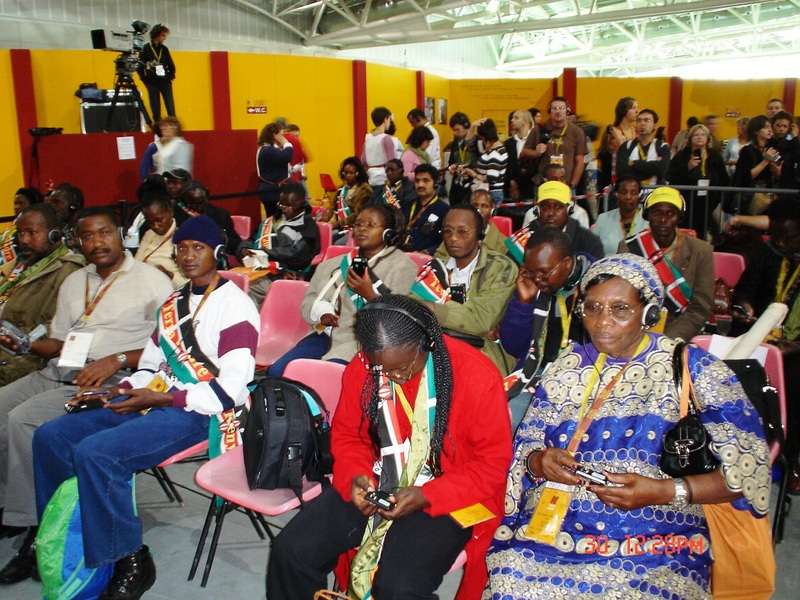 47 Kenyans, led by Samuel Muhunyu, are putting final touches to their preparations to participate in Terra Madre 2010 and the team includes Slow Food members and Terra Madre food communities. They hail from different parts of Kenya: Nairobi,Kiambu, kwale, Machakos, Makueni, Meru,Busia, Kitale, Bungoma, west pokot,Thika, Nakuru, Kisumu, Marsabet etc and they include farmers,producers,chefs, academics, youth, students, and journalists. They will be attending the Terra Madre and Salone del Gusto event from the 20th -25th October, 2010 to showcase their indigenous products, diverse cultures,interact and share with other food communities on issues related to food and more. Not only is Salone del Gusto/Terra Madre a tasty and satisfying experience, it also provides an educational exploration and deeper engagement with food production process. These two aspects of the fair meet with the Earth workshops, Taste Workshops and Theatres of Taste. Producers, experts and great chefs guide the visitors in an experience that speaks to the senses as well as to the mind. This year’s program of the Salone is a sophisticated blend of pleasure and awareness, two cornerstones in the history of the Slow Food association: sought-after tastings of the highest quality, the presence of legendary personalities, spaces dedicated to the Terra Madre food communities and the presidia and above all, the integrity of the principles of good, clean and fair food. Food products that are at risk of extinction or rarely utilized in our cuisines and are within the international Presidia will be showcased, including Kenyan products Stinging Nettle from Utugi Self Help Group and Lare traditional Pumpkin from Nganoini Self Help Group. As part of the Slow Food movement’s work on food waste, Salone del Gusto will be hosting its first Dinner of Leftovers. When the doors of the Salone 2010 close on Monday, October 25, a group of chefs from Michelin-starred restaurants as well as humble osterias, will use all the creativity and technical know-how at their disposal to create a meal using the ingredients leftovers from the kitchens of the Theatres of Taste and the Taste Workshops, as well as products from the Italian and international Presidia and the Earth Markets that cannot be kept or brought back home. The international Presidia projects aim to protect unique regions and ecosystems, recover traditional food processing methods and safeguard native breeds and local plant varieties. CAMPAIGN AGAINST MALARIA IN BARINGO. Malaria is the leading cause of morbidity and mortality in Kenya . The rope and washer pump is a key part of the water and sanitation programme amongst the community members of Kihoto self Help group and its environs. Although health benefits could not be attributed to its provision directly, the users of the rope and washer pump perceived it as being responsible for the health benefits they have received. The rope and washer pump is a low-cost hand pump capable of pumping water from up to 25 meters below ground. It has been in used in various forms all over the world for many years. The pump is made locally. Operation and maintenance for the pumps is low in comparison with other pumps and due to the simple design it can be done by the users themselves. 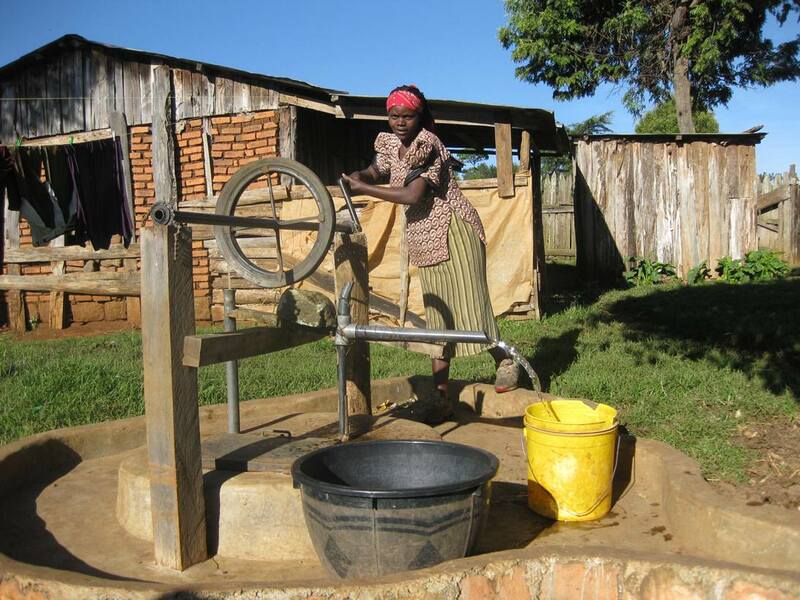 The rope and washer saves the users a considerable amount of time which was used for productive activities such as farming, selling produce and small scale irrigation. The source of income for the majority of families is from mixed farming, with the main crops being potatoes and maize. All families have small plots of land which vary in size from 1 to 5 ares. Therefore the water obtained has recently been used by the community for irrigation and the livestock which has highly contribute to high crop yields and proper animal husbandry. Kihoto SHG members has recommended the efforts nade saying these has reduced cases of waterborne diseases, malnutrition, skin diseases and further increased concentration of pupils especially the girl child in their education. One of the teachers among the group said that the students are currently able to finish their assignments on time and thereby improve there performance. Most families share their well with at least one of their neighbours meaning that the benefits of the rope and washer pumps have reached many more families than those directly involved in the project. Conservation agriculture (CA) offers a powerful option for meeting future food demands while also contributing to sustainable agriculture and rural development. NECOFA Kenya as a leading organization that has been promoting ecological farming in the region has sought to provide farmers with skills and knowledge to enable farmers to achieve acceptable profits from high and sustained crop production levels while, at the same time, conserving resources and protecting the environment. Farmers need to really understand the concept of CA and the relevant positive impacts on improving their farm land and reduction of inputs and labour unlike the conventional farming. CA methods has proved to improve the efficiency of input, increase farm income, improve or sustain crop yields, and protect and revitalize soil, biodiversity and the natural resource base. CA methods enhance natural biological processes above and below the ground by reducing interventions such as mechanical soil tillage to an absolute minimum. Conservation agriculture is more than a zero-tillage-based cropping system. Farmers following the CA principles use low-cost tools and equipment and traditional crop varieties. The two principles i.e. 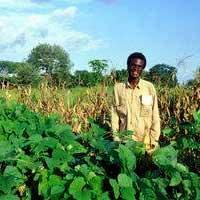 the permanent soil cover and crop rotation is applied to suppress the weeds instead of farmers use of herbicides which increase chemical composition that have negative health implications. During the visit, NECOFA team donated one knapsack sprayer and five litre of Hyax (organic fertilizer).These was necessary because the resultant crop failure has been due to low soil fertility and increased acidity of the soil. 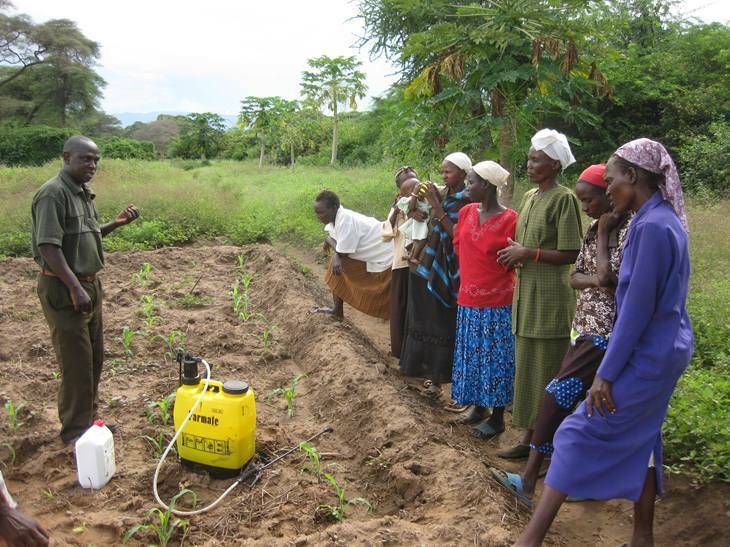 A demonstration was carried out on the use of the knapsack sprayer by spraying hyax fertilizer on the maize field. During the same visit, the group was also trained on the treatment and enrichment of Boma compost i.e. 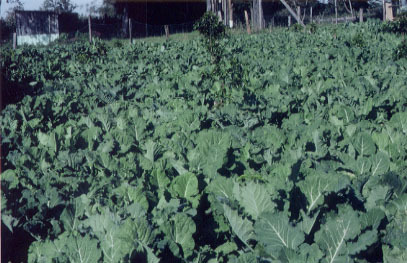 the production of compost manure. Members were advised to construct a shade and heap the boma compost to avoid loss of nutrients through leaching and evaporation and ensure proper decomposition. They were also advised on ways of enriching the manure e.g. 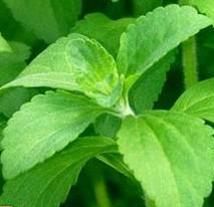 adding of ash, green materials and use of mijingu-a natural phosphate fertilizer. The group members shared their gratitude to the supportive and initiatives carried out by NECOFA staff, as they gained hands on skills.